I was given a gift card to help facilitate my post about turkey. I was not paid to do this giveaway. All opinions are 100% my own. What’s your favorite way to enjoy Butterball turkey products? Is your go-to meal a turkey sandwich, turkey burgers, fresh salad with chopped cold turkey, baked turkey meatballs or something else just as tasty? Have you added more turkey into your diet for a more healthy lifestyle? I have a very favorite turkey recipe that I had the pleasure of creating a while ago. My recipe is a Green Curry Turkey Puff which can be found here. I trust Butterball turkey breast for all my great turkey recipes. I use turkey products on a regular basis in my home. We are dedicated turketarians, are you? Enter to win a $25 Visa gift card from Butterball and MamaNibbles.com below on the Rafflecopter form. 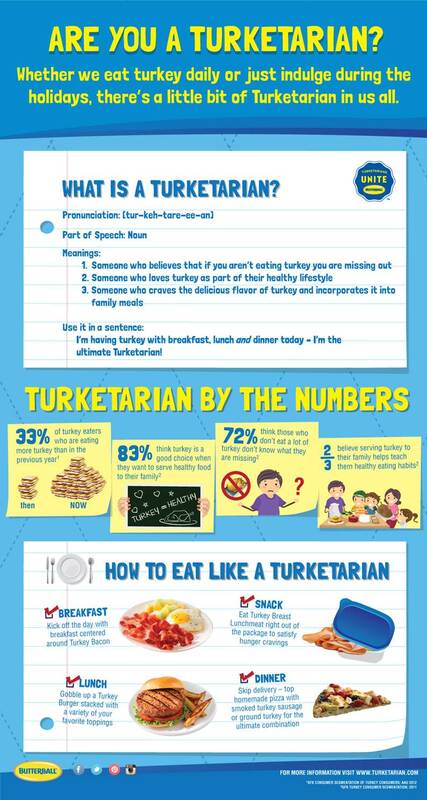 Tell me in a blog comment how you are a turketarian or what your favorite turkey recipe is!